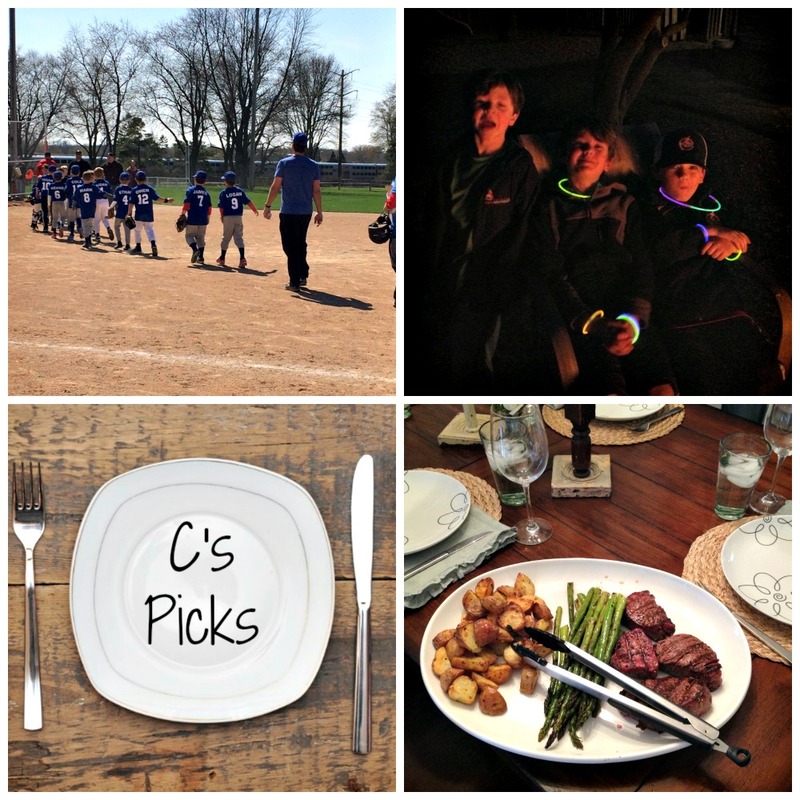 April 2014 - A Life From Scratch. Another weekend has gone by! We had the first two baseball games of the season and started off with a bam: lots of fun and lots of good plays! Add in a bonfire with friends, tasty filets on the green egg, and a lazy Sunday evening and you’ve got yourself one pretty good weekend. This week’s menu plan is pretty choppy but here we go! I’m long overdue for a stock up trip at Trader Joe’s, so that will be Monday. My favorite thing to make for dinner when I shop there is the his & hers pizza, so, I’ll be whipping that up. Tuesday M is off again, I believe, to New Orleans. Dinner for me will be some death row shrimp with veggies. 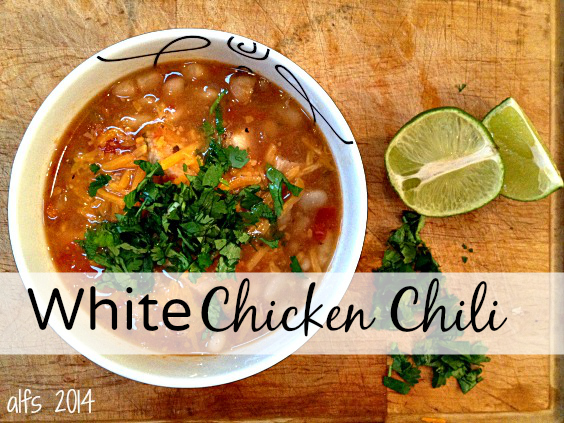 I LOVE this recipe and we haven’t made it in awhile so that takes care of Wednesday night. Thursday M is in the city and L has a game @ 6:00. That means a hot dog and milkshake whenever we can fit it in. Friday I’m out! Boys will have their go-to: grilled italian sausage and green peppers. Baked potatoes in the oven. That’s our line up – what are you cooking? P.S. Don’t forget about our $100 J. Crew gift card giveaway! If you haven’t entered yet, what are you waiting for? I’m not sure about where you live but last weekend around Chicago was beautiful. I’m talking outside for 12 hours straight, bbq’s, messy boys, bonfire, and lemonade stands beautiful. It was our first real taste of summer since what seems like forever and we could. not. get. enough. Obviously, grilling was in order and since our boys can not seem to get enough of this crew we grilled out together. M fired up the green egg for some inside out and spinach feta salmon burgers and I got our trusty Weber going for this grilled Mexican street corn while Ryder and L just pounded each over and over in a game of football. You guys. 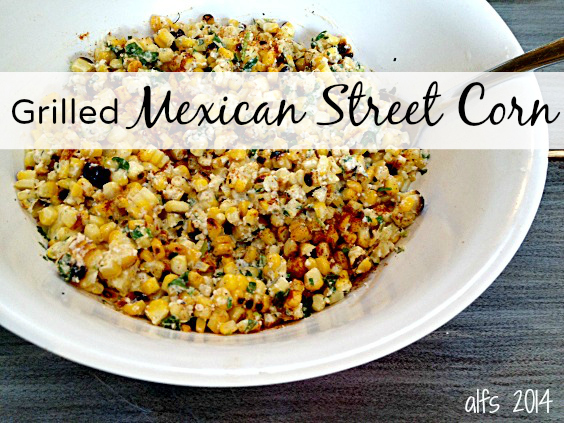 I first read this Mexican street corn recipe while in Miami and knew once we hit 70 it would be the first thing on the grill. It’s so flavorful, so fun, and just screams summer. Everyone gobbled it up and requested the recipe so….tada! Here it is friends. A big thanks to Julie for bringing by a beautiful fruit salad and a gorgeous chopped tortellini salad that I must have the recipe to – ASAP! Hint hint. How fun is summer cooking? I can never seem to get enough. Grill the corn on medium high heat for 8-10 minutes, turning often. You're looking for a mix of char and deep yellow kernels. Allow to cool, and then cut the kernels off the ears. Mix together remaining ingredients and toss lightly with the corn. 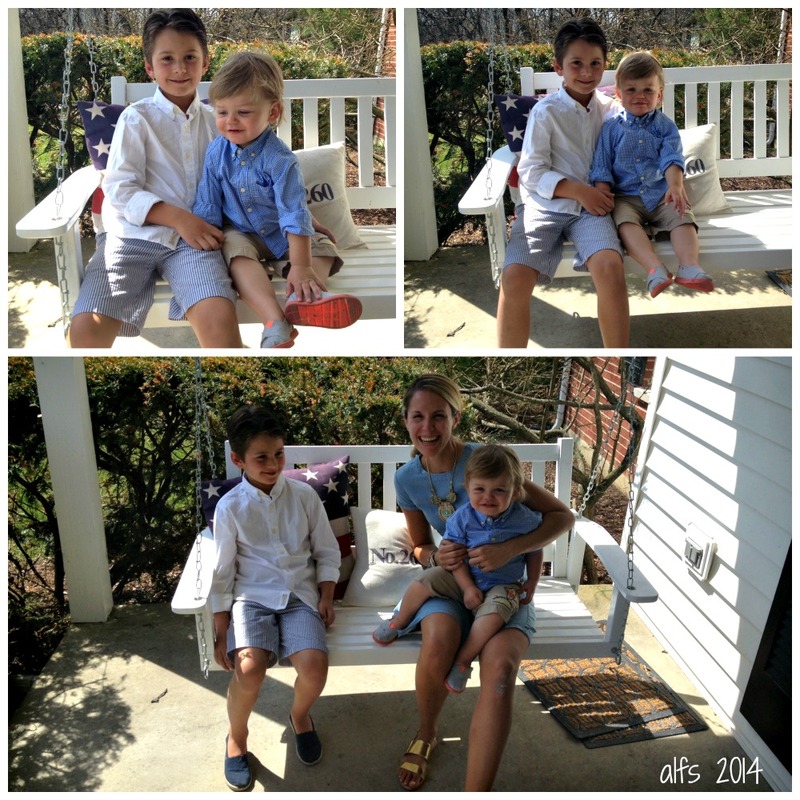 Welcome to the Easter edition of What We Wore Wednesday! And big news – not only are we showing off our looks this week, we’re giving away $100 to J Crew! FUN, right? You can shop for your little one, your significant other, or – yourself. I’d stick with yourself and check out this or this. LOVE. Alright – our looks first, and then we’ll get to the good stuff. Easter was beautiful and I was so incredibly excited to get on some summer gear. I love dressing my boys in dress shirts and shorts. A little roll of the sleeve, a little pop of the collar, and bam. Done. Super classic and always in style, even years down the road. Here is what we wore on a day of visiting loved ones! On L: H&M shirt ($6.95! ), Crewcut shorts, Toms. On B: H&M shirt ($6.95! ), Gap shorts (circa L), and Toms. On C: H&M dress which, I have to say, is very reminiscent of this dress that I just had to have after seeing my darling cousin wear it. Cloth and Stone can be a pricey brand though, and this one rang up a lot easier at $34.95. The material is so soft and overall the dress is great for chasing boys throughout the yard. Boden shoes, which I love and that necklace… if you follow me on Facebook you know where it’s from. Alright – enough of my crew! Let’s see yours. Comment below to play along or link up on our super fun Pinterest board. And now, for the most important part…the J Crew giveaway! Enter below by following the steps in the Rafflecopter widget. The more you do, the greater the chance you have to win. Good luck to you and happy shopping! My dad has a full plate on his hands. You’ve heard of the whole sandwich generation thing, right? You’re caught in the extremes of two worlds: 1. dealing with an aging parent(s) and 2. parenting. He’s still got his wonderful mother around who is going as strong as you can at 98, and has 3 daughters to juggle (one being 22). As many parents of girls know, daughters don’t ever really seem to give you a break. That is why your main goal is to marry them off. I kid, of course. I’m in boy world – what do I know? Anyway, on top of the whole aging parents/parenting thing going on, he has two very busy grandsons that love him, and he is one of the founding partners at Hamilton Partners. Real estate. The word alone after the past years just kind of makes you shudder, doesn’t it? He’s held strong though, as dads always seem to do. He’s got that crazy old school approach and even at his age is almost always the last to leave the office nightly. Blows my mind. So full calendar? Yes. Very. I like to help out when I can, and dinner on a night when I knew my mom was out is an easy way to do just that. I’ve made these delicious sandwiches for him before, so it was an easy way to lure him back on over for a pick up. I emailed him to come by, and he confirmed around 6:30. Knowing my dad was at the office I kicked it back to 7:15, which was spot on. He came in the back patio door in his long coat with a big smile as B greeted him with a bat and by throwing a ball directly at him. The sandwiches were sitting on the counter: warm, gooey, and wrapped in foil, patiently waiting for his oven. Dream bars were cut into crumbly squares as well – still cooling on a pink flowered plate. I offered him a glass of sparkling water, as alcohol was just never his style. We would chat a bit – how was your day, how was school for L, and then down the street he would go with these killer sandwiches in hand to hopefully relax a bit before the next day begins. A work ethic to be admired, for sure. 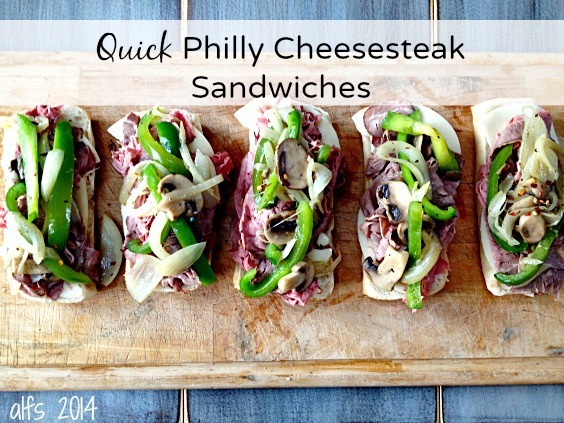 Totally worthy of a homemade Philly cheesesteak sandwich… or 2! Melt the butter and oil in a medium-sized skillet set over medium heat. Add onions, peppers and mushrooms. Cook, stirring often, until vegetables begin to soften. Season with salt and pepper and continue to cook just until the onions begin to brown around the edges. Split the meat equally between rolls, top evenly with cooked veggies, top with cheese. Roll each prepared sandwich tightly in foil. Bake @450ºF for 10 minutes, or until cheese has melted and sandwiches are heated through. Leave any leftovers wrapped in foil and bake in the oven to reheat.